The 16th of August marked a monumental event for the female members at the Waite campus, with the launching of the first major Women of Waite event – Conversations with Women of Waite. The event introduced the reality of working as a scientist to the public, with panel members from around the campus each in different stages in their career. Our very own Dr Allison Pearson (pictured to the right) was a member on the panel and shared her own experiences and challenges of being a female scientist, as well as inspired others by sharing her research. 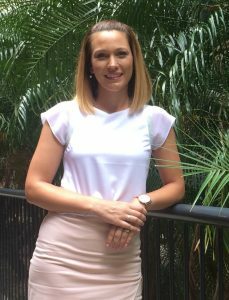 Belinda Cay, a science communicator and educator who has worked with PIRSA, is a Royal Agricultural & Horticultural Society Board member and has spent 5 years at Waite as the Communications and Education Manager for the Australian Centre for Plant Functional Genomics. Dr Kathy Ophel-Keller, Research Chief of the Sustainable Systems Division at SARDI, has a passion for researching the biological control of plant pathogens. Dr Anna Koltunow, a senior researcher and team leader at CSIRO Agriculture and Food, and is globally renown for her expertise in fruit and seed formation in plants. Dr Jacqui McRae, a senior research scientist at the Australian Wine Research Institute, with a penchant for chemistry that has allowed her to work all over the world including Peru and Malaysia. She currently researches the chemistry and proteins of white wine. Lieke Van Der Hulst, who came to Australia from the Netherlands and has recently completed her PhD and is now leading the Why Waite schools outreach program. Feedback after the event was great, with aspiring female scientists feeling empowered, and with attendees walking away from the event with a brighter outlook on life! If you are interested in joining the Women of Waite network, have a look at their webpage here!